Turning Vision Into Action: Moving at the Speed of Life!! Avoiding the "Because I Can" Syndrome in 2013-2014! Moving at the Speed of Life!! Avoiding the "Because I Can" Syndrome in 2013-2014! The 2013-2104 school year is about to begin! For some of you, it has already started. Don’t you just love the energy, the passion, and the hope of the new school year? Yet soon enough, you will settle into the rhythm of the year, and before you know it, that sense of balance and start of the year energy, begins to wane. Especially when you consider all that is and will be on your professional and personal plate this year. Last week, I passed 1000 twitter followers. I was feeling pretty puffy about that accomplishment until I looked into my good friends Ken Williams (5000+ followers and dynamic leader), Bill Ferriter (12,000+ followers and the guy who convinced me to tweet a few years ago) and Charlene Chausis (2000+ followers and my personal tech guru). Then of course there is Jimmy Fallon at 8,000,000+. I suppose it is all relative and personal to your community choice. And my community of choice is you: the educators of the world. 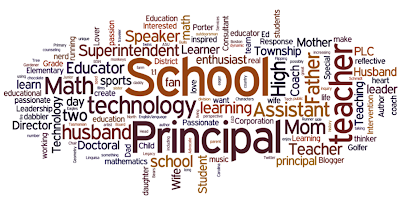 More narrowly, the math teachers and leaders, the school administrators and leaders, the PLC process pursuers and the give it all you got folks. So, in passing that 1000 marker, I was wondering who are you? Who are the people taking the time to join up with me in community? 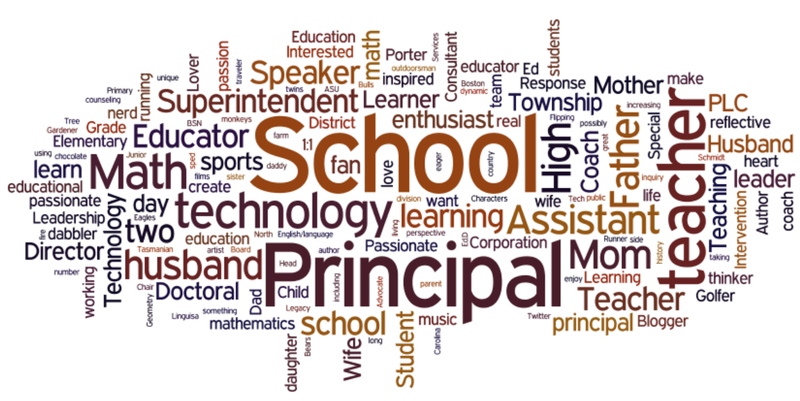 The Wordle sums it up. It is the picture of who you are. You are moms and dads, husbands and wives, lovers of dogs and cats, writers, nerds, outdoorsmen, students, teachers, music lovers, artists, coaches, math lovers, ELA lovers, principals, techies, enthusiasts, dabblers, directors, counselors, superintendents, bloggers, dynamic, passionate, creators, characters, learners, thinkers, runners, bikers, linguists and lovers of chocolate. In other words, as this 2013-2104 season is launched, you are wearing many work, family, and health related hats - pursuing much of what life has to offer. You are and will be spinning a lot of plates, as you try to give your time and your energy to all of the things you are and do. And if you are not careful, the speed of your life in 2013- 2014 will wear you down. You will make excuses about the speed of your life. 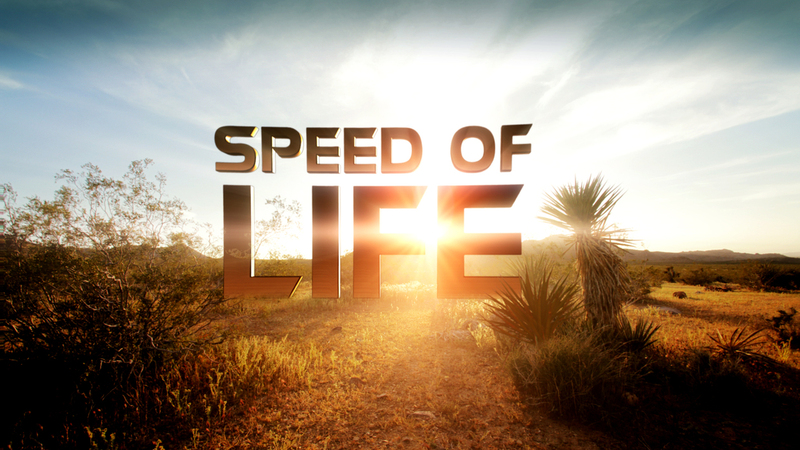 What are the signs that you will have a speed of life problem? If you are relentlessly in a hurry to get everything done, you have a speed problem. If you are noticing the time for deep and meaningful relationships with those in your N-S-E-W spheres slipping away, you have a speed problem. If you feel overwhelmed by your workload, you have a speed problem. You are becoming out of balance. Invariably, this happens to every teacher and school leader some time during the school year. Eventually the speed of expectations, the pace of obligations, the “simpler, better, faster” mantra catches up to you—as a professional and as a human being. Your energy, your full engagement at work starts to falter, and you just can’t keep all of the plates spinning—at work or at home. At some point in this school year, although you may not outwardly show or verbalize your angst, you know you are losing the pace and speed battle. You go into work earlier and stay later. By the end of the day, you have worked as hard as humanly possible. You have done as many tasks at the same time as you could. You have nothing left in the tank. Since the pace of your work, home and health life can be relentless, a default solution for responding to the demands is the modern notion of multitasking. You try to do more things at the same time as a way of catching up with your workday. Some of you might be multitasking right now. As you are reading these words, what else are you doing: Listening to music? Checking your cell phone for text messages and signal beeps for incoming email? Running a load of laundry? Wondering about an overdue phone call? Reviewing your child’s homework? Making excuses and blaming others (external factors) for your inability to get things done are sure signs that you—or those in your sphere of influence—are drifting into an energy crisis. Author James Loehr (2007) highlights the making excuses issue as “faulty assumption thinking” (p. 70) and provides insight into how you tell yourself terrific excuses for why you do not need to plan strategically for a life of reflection and balance. If you spend time in serious reflection about how you are doing in 2013-2014, you can penetrate the veneer of these excuses. The barriers imposed by excuse making will fall. The “no one else who had my current job, my current home situation, or my personal life and health situation could find happiness, either” is a wonderful, but delusional, barrier to hide behind. Why do adults tend to blame others, especially the mysterious “they,” to justify their faulty assumptions? It is so much easier to just say, “They won’t let us do this,” “They are making us do this,” or “They just don’t understand our problems.” In other words, you don't take responsibility to own the speed of your life. One quick way to check the temperature of your life is to observe for the frequency with which they is used in your conversations - at work or at home. PLC cultures, by the way, have no tolerance for the faulty assumption thinking allowed by the use of the word they. Loehr (2007) refers to the tendency toward faulty assumption thinking as the “because I can syndrome” (p. 74). Why do I check emails while on vacation? Why do I text during family dinner? Why do I interrupt a conversation to take another call or return a text message? Why do I work every night until midnight? Why do I answer my cell phone during my daughter’s concert? Why do I skip that afternoon workout? Why do I miss breakfast every morning? Why do I get so little sleep? No one is telling you how to use and manage the energy of your life. Can you identify any current pattern of behavior or faulty thinking in your life in which you suffer from the because I can syndrome? Everyone I know has this issue. I suspect that, at one time or another, you too have taken on too many tasks and become overwhelmed. The demands of managing work, family, and health make it impossible not to skirt the edges of faulty assumptions. Eventually, one of those areas, if not all three, begins to suffer. Becoming aware of faulty assumption thinking in your daily experiences and any tendency to make personal excuses to rationalize your behavior is a first step toward denying the energy drain often caused by the because I can (get away with it without being challenged) syndrome. Take the time in 2013-2014 to ask, are there any because I cans I need to address? It will help you to move better at the speed of life this year. I wish you the best 2013-2014 season possible!